Want to feel more confident? Feeling a bit stressed? Well the power pose might be the answer! Wonder Woman and Beyoncé are some people who have mastered this pose! But this special pose is not just for a select few! There is actually a strong movement, grounded in solid research from Harvard University and the Universities of Oregon and Texas, that supports the many benefits of such a pose, particularly on our confidence and stress levels. One of the leaders in this space is social psychologist Amy Cuddy. In one of the most popular TED-talks (see link below), she shows how “power posing” – standing in a posture of confidence, even when we don’t feel confident – can affect certain hormone levels in the brain; specifically testosterone and cortisol. Higher levels of testosterone (in both men and women) has been shown to lead to increased feelings of confidence. And lower levels of cortisol have been shown to lead to decreased levels of anxiety and an improved ability to deal with stress. What do we mean by a power pose? How do these poses influence our hormone levels? Research has shown that the act of changing your body position does two things; one it ‘signals’ more power, but secondly, and perhaps more importantly, it also triggers changes in the body that make you feel like you have more power or confidence. 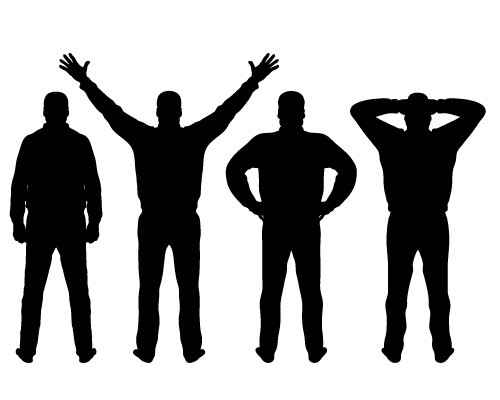 In Amy’s study, people who held a 2 minute ‘high power’ pose increased testosterone levels by 20 percent and decreased cortisol levels by 25 percent! So…how can I use this? Next time you are faced with a potentially stressful situation – like a presentation, a meeting or even an interview, find some private space and try some power poses for 2 minutes. It will release some chemicals in the body that help you to feel and project more confidence, and it will also help to lower your feeling of stress. Don’t just fake it till you make it – fake it until you BECOME it! Do it over and over until it IS you! Want more information on confidence? Click here.